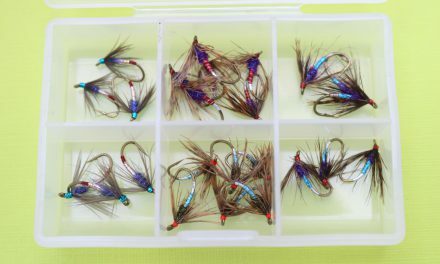 One of my recent requests was for a box of flies and a framed example of a fly, the name of which had been “invented ” and applied to a keen young fisherman. On the occasion of his 21st birthday his grandmother thought it would be fun to present him with a box of flies designed and named after his nickname. I decided to tie a Salmon double as Will, as the young man is called properly, was due to travel to Scotland for some salmon fishing later in the year. Ginger was clearly going to be a dominant colour. The dressing I came up with is as follows. 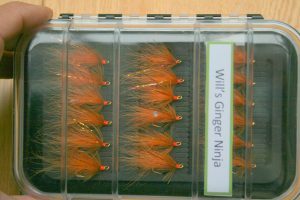 Head:- Hot orange tying thread. 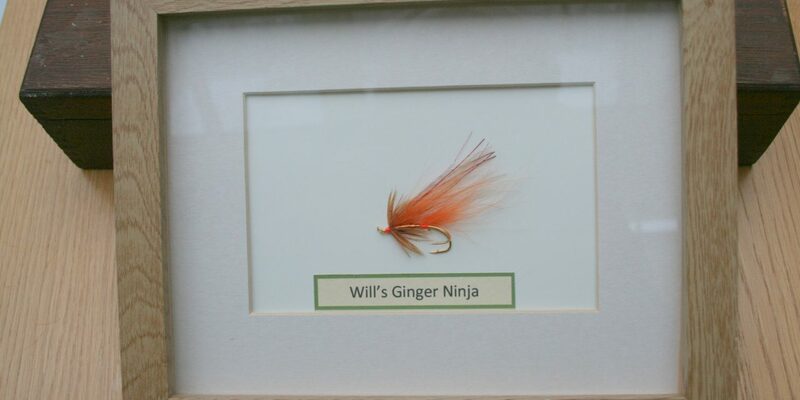 As well as box of 18 flies in three different sizes Will also received a framed example of this fly. His grandmother was delighted. 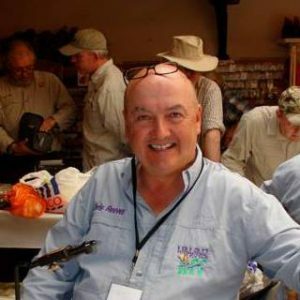 PreviousHow to achieve consistency in Fly tying.